We spoke with Istanbul-based label, Petra Digital’s founder Eren Erdol about his early influences, founding a label in Istanbul and why it was to time to release his first proper house production recently. Enjoy! Hi Eren! If you have to burn down your entire record collection except three pieces, which would you pick and what memories do you associate with them? Hey! Well, it’s very hard to answer this question but I can say that Soundgarden’s Badmotorfinger, Shir Khan’s Black Jukebox 05 and Jazzanova’s first Jazzanova EP would be my choice. I spent my entire childhood with listening to Soundgarden’s Badmotorfinger so it plays an important role for me personally. I appreciate the remaining two EPs because they opened me the array for their respective genres. You’ve been part of the band Krystal. How did the time in a band influence you from a musical perspective? Krystal was one of my own projects. I played drums in the past and had the chance to jam with different bands. Playing in a band, hanging out with your group members is most of the time fun and performing at a collective may be also easier than doing everything on your own. Nevertheless, I prefer to produce music individually. Do you collaborate with producers in the studio or do you cut your own way through? I started producing around 2007. Speaking about my house project, that I actually started recently, I produce everything on my own and ask occasionally friends to amplify my sound. I could imagine, however, collaborating more with other artists for future nu jazz projects. Your 2011 debut EP Late Night Dreams included jazz-influenced collaborations with vocal artist Melis Güven. How did the collaboration evolve and have you been also involved in the song writing process? This EP is very important for me since it represents also the start of my professional music career. I was searching for a vocalist for my tracks and a common friend introduced me to Melis back then. I arranged the instrumental versions and Melis wrote the lyrics. Here amazing vocals made these tracks just brilliant and I highly appreciate her contribution. Comparing your ‘Alone in Brugge’ / ‘Addicted’ release with your new Transparent Beauty EP reveals that you productions transformed from nu-jazz to uplifting house. What made feel to change your style? At the time when I composed the Alone in Brugge EP, I was listening to a lot of nu jazz. I didn’t have a significant exposure to house, neither as a listener nor as a producer. I was actually introduced to it via Exploited Records and when I was listening to their releases I thought: ‘damn! I want to make that sound as well’. This also represents a starting point when I began to discover different sub-genres of house. Transparent Beauty EP is my first proper house release. I hope it won’t be the last (smiling). You launched recently your own label Petra Digital with Kerem Akdag’s EP Life of a Party. What sound aesthetic are you aiming with the label and what is your release policy, i.e. will you have vinyl releases? I was actually following Kerem before Petra Digital. He definitely has soul in each of his productions and this is exactly what I’m looking for at potential future releases as well. Kerem doesn’t produce music for specific sake, he just writes what he feels about and this impressed me very much. Hence, he was also the first musician I contacted while establishing Petra Digital. Referring to your question about our release policy, we pursue a dual strategy, i.e. digital and physical output. However, not each catalogue number will be accompanied by a vinyl release. How was the feedback so far? Initial feedback was impressive so far! Kaan Düzarat, who is one of my favourite musicians in Istanbul, and Moodymanc remixed the first EP and contributed their unique notes which effected positively on the feedback as well. What are the challenges of establishing an Istanbul-based label? I have say that it’s really hard to operate a music label out of Istanbul. We got very talented musicians who deserve a release but we need to do more international collaborations because music business here is very limited. Nightlife in Istanbul is nice at the moment, but promoters should support local DJs and producers much more in my opinion. We have an EP by Mutlu San due next. It includes very exciting productions and I really looking forward to include it in our label catalogue. 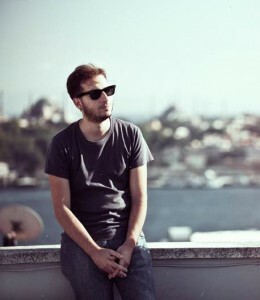 Furthermore, we have another EP from Kerem Akdag in the pipeline. Official release will be in the beginning of 2015. You should definitely stay tuned for Petra Digital.